Ernest Moniz, former energy secretary for President Barack Obama, is suspending his involvement advising Saudi Arabia on a proposed city mega-project until more information is made available regarding the disappearance — and possible assassination — of Saudi journalist Jamal Khashoggi. Why it matters: Moniz’s move shows how geopolitical disputes, and in this case a potentially tragic one, can have spillover effects into wholly unrelated issues like business and energy. The details: Moniz said he was invited to join an international advisory board for the development of NEOM, whose cost is estimated to be around $500 billion. The project is meant to be a smart city of the future, built from the ground up in Saudi Arabia, Moniz said in a statement. Saudi Arabia, whose state-owned oil company pumps out far more oil than any other company, is seeking to diversify its oil-dependent economy. “In particular, I have been asked to offer guidance on achieving zero net greenhouse gas emissions. 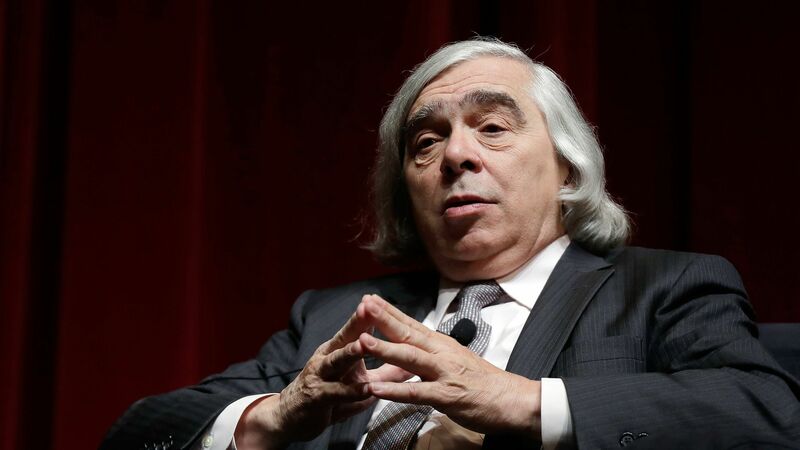 Success with this vision will have global implications for a low-carbon future,” Moniz said. In awkward timing, the board was announced Tuesday, according to media reports in Saudi Arabia.